I am all for minimal and collapsable furniture. 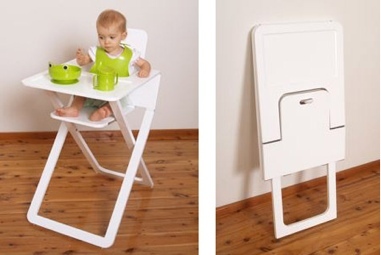 I rejoiced when I discovered this spacesaving highchair! psst…come over + enter my new mother’s day giveaways swissmissmommy! i’m posting a really good one tonight!